My main research interest is in the development of live viruses for the treatment of cancer. Viruses have long been known to induce cancer and cause disease; however their destructive capacity can be harnessed to preferentially destroy cancer cells while leaving normal tissue intact. We are studying several naturally occurring common cold viruses for the treatment of melanoma, bladder cancer, breast cancer, lung cancer, prostate cancer, pancreatic cancer, malignant glioma and multiple myeloma. I have always been interested in science from a young age and enjoyed "working things out" and "solving problems". During my PhD studies, my father was diagnosed with an aggressive lung cancer that was untreatable. He passed away within 3-4 months of diagnosis and it was a real shock to our family, given that he was a non-smoker. Investigating new treatments for cancer is a rewarding career and has personal significance to my family. My vision is that many more cancers will be added to the "curable" list in the next decade. The ultimate goal for our research is to see the use of our biological therapies (live infectious virus particles) being adopted for use in clinical therapy in conjunction with existing cancer therapies. Dr Gough Au is a senior conjoint postdoctoral research fellow at the University of Newcastle. He was awarded his PhD in 2005 and has since been involved in the commercialisation of a novel oncolytic virus for the treatment of human cancer with commercial partner Viralytics Ltd. He completed his NHMRC Industry Research Fellowship in April 2011 (2007-2011). During this four-year period, Dr Au’s main research interest was in the development of naturally occurring viruses with selective anti-cancer properties, for the treatment of melanoma, multiple myeloma and malignant glioma. Dr Au has 17 publications with over 239 citations (61.11 impact points) and is an inventor on two patents. 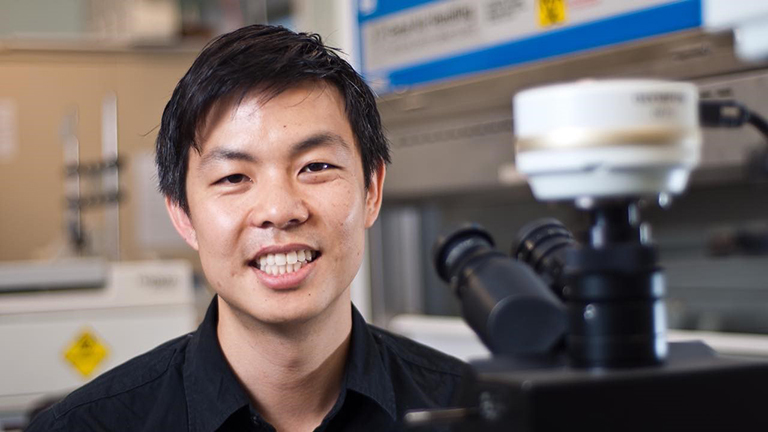 Dr Au is passionate about training the next generation of medical researchers and has supervised numerous PhD and Honours students to completion. Live viruses for the treatment of cancer will become one of the many tools used by oncologists and surgeons in the near future. In October 2015, the US Food and Drug Administration (FDA) approved the first injectable formulation of a live herpes simplex virus developed for the treatment of melanomas in patients with inoperable tumours. These therapies will help improve the lives of cancer patients with more effective treatment and fewer side effects.